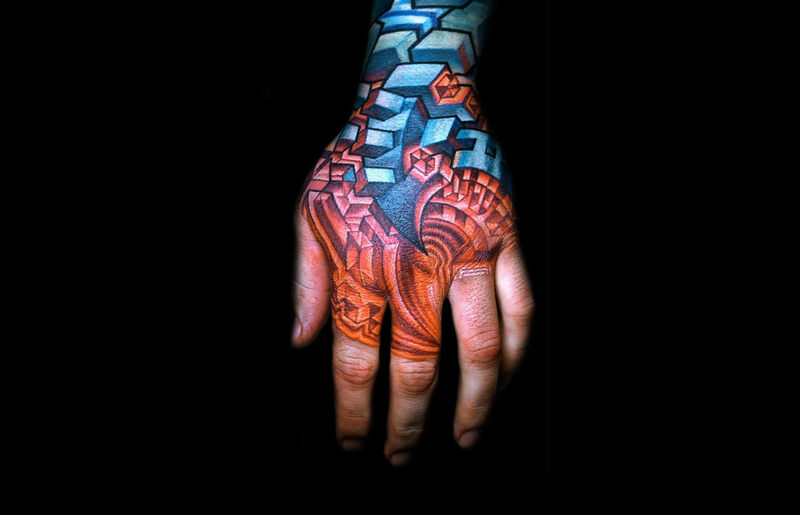 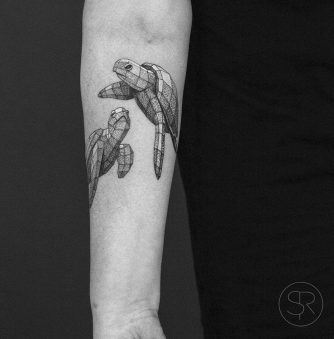 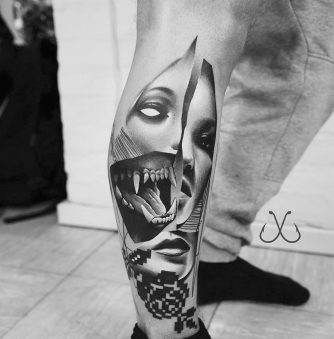 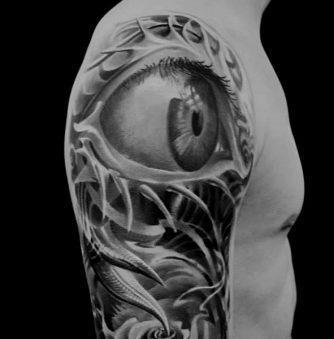 Biomechanical art became popular in the late 70s by H.R. 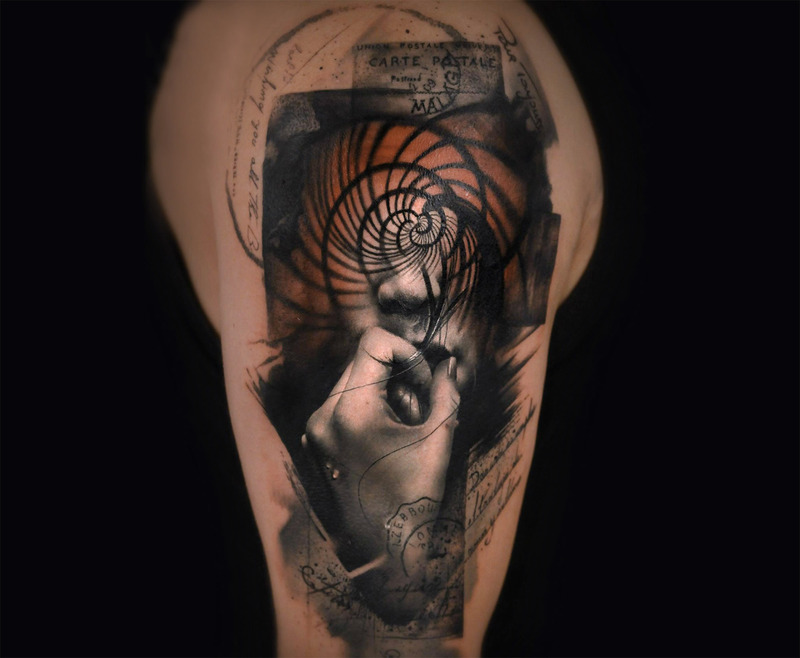 Giger, whose darkly surreal visuals of humans fused with machines, has been influencing artists throughout four decades. 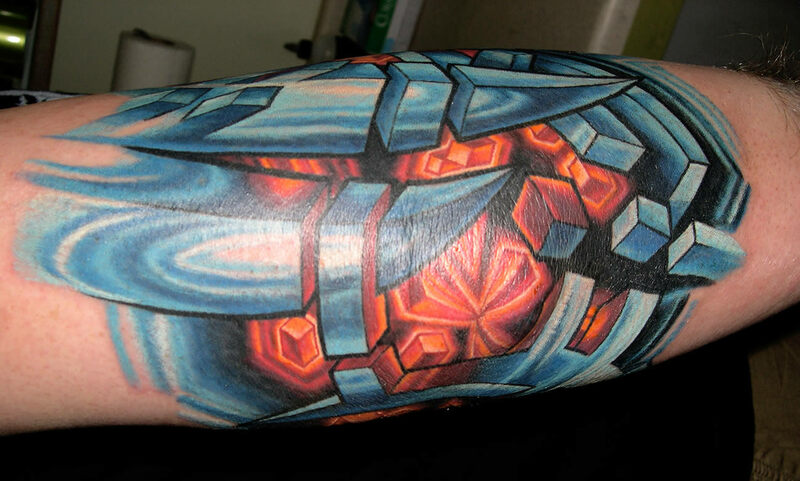 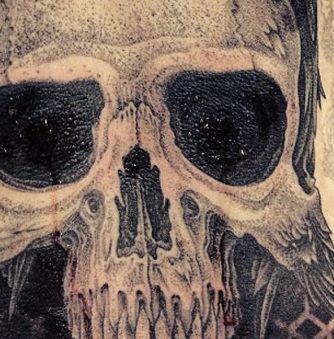 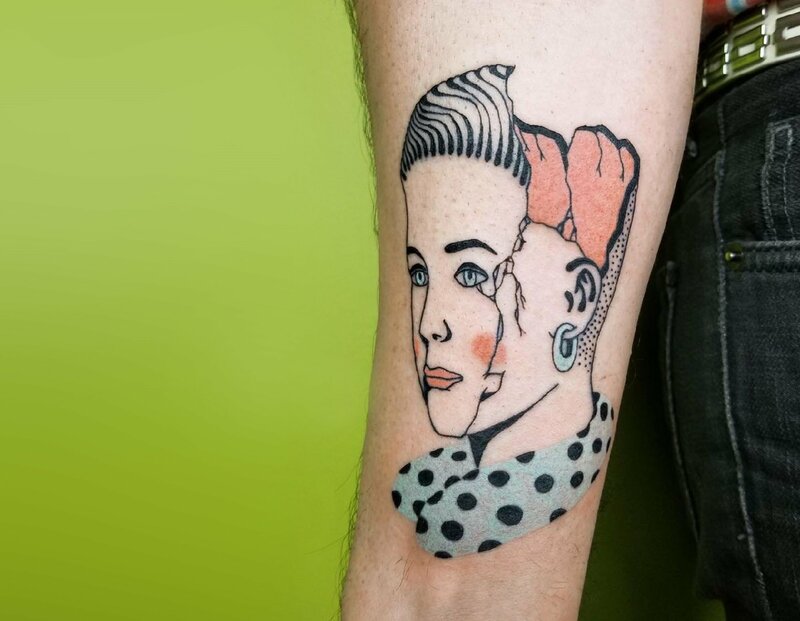 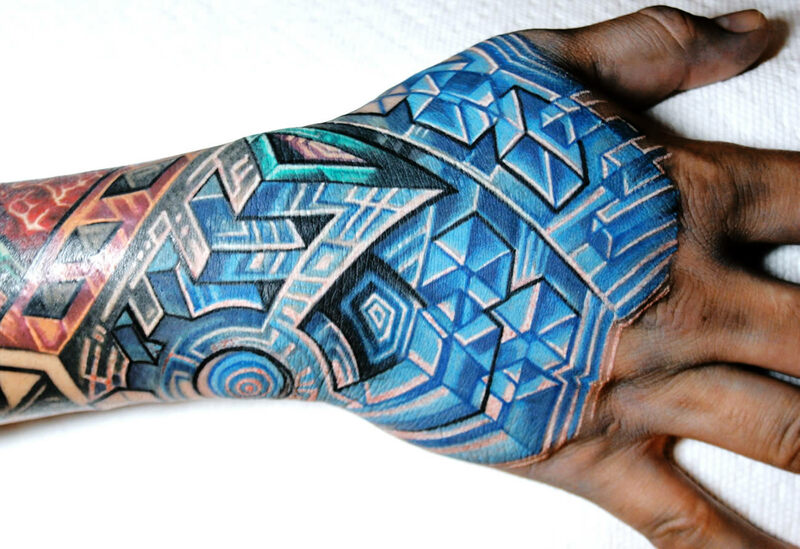 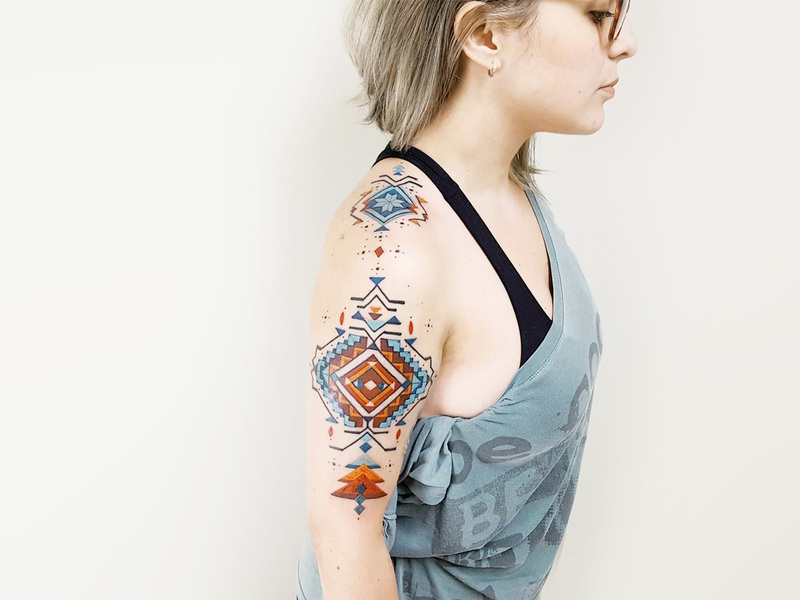 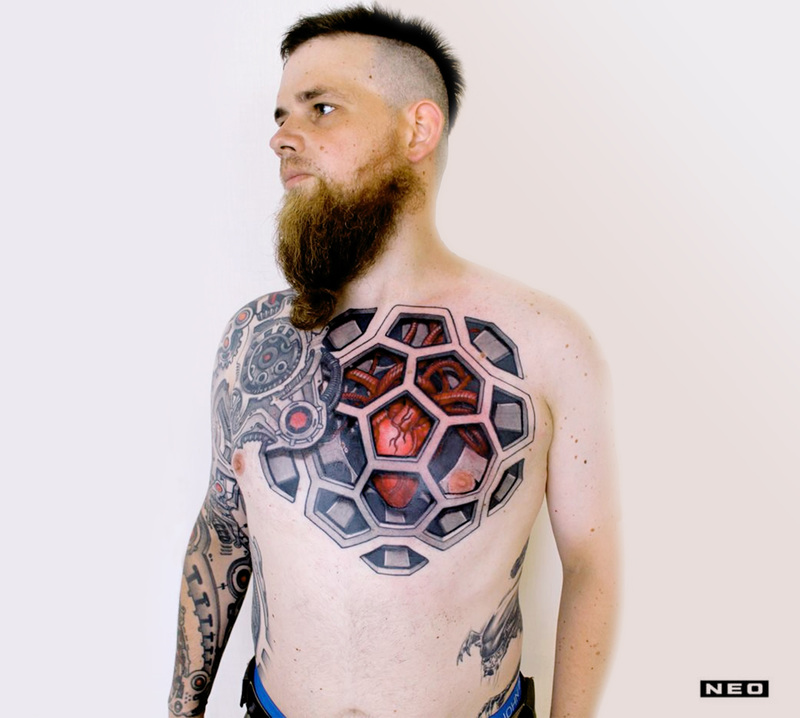 An example is tattooer Mike Cole who has developed his own colorful style with human organs and tissues replaced with mechanical parts and cosmic elements. 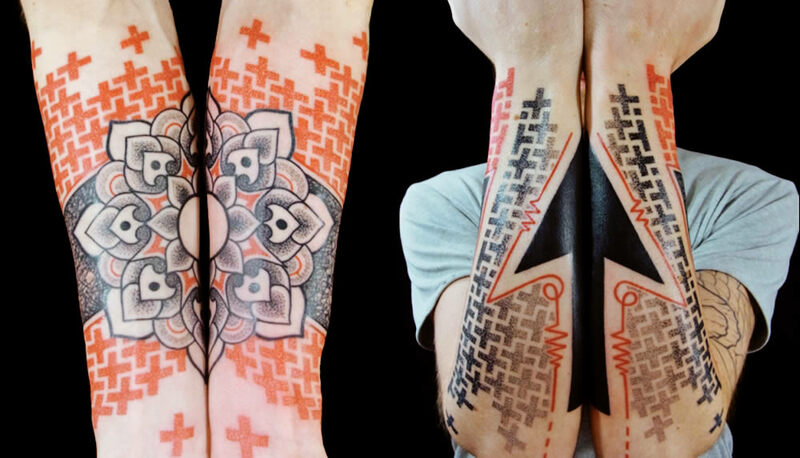 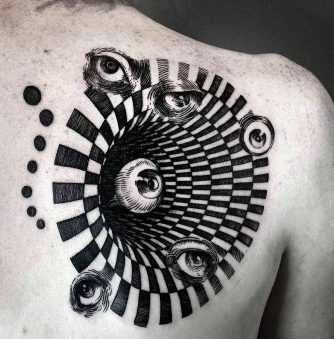 It is difficult to resume in words, but it is intriguing and unusual as body art.